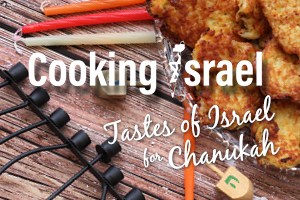 We wait all year for the festival of lights - which glimmer against the foil many of us lay down underneath to catch the dripping wax… Now you can make your own Chanukiah placemat. 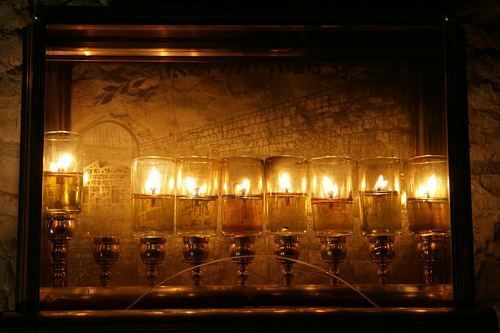 This is a simple way to give a more personal touch to the candle lighting experience and atmosphere while also protecting the surface on which the Chanukiah is standing while also incorporating the Israel connection. This project is developmentally appropriate for people of all ages and stages of life. The supplies are as simple and the process is as easy as can be! All you need is time and patience and the desire to have a good time! 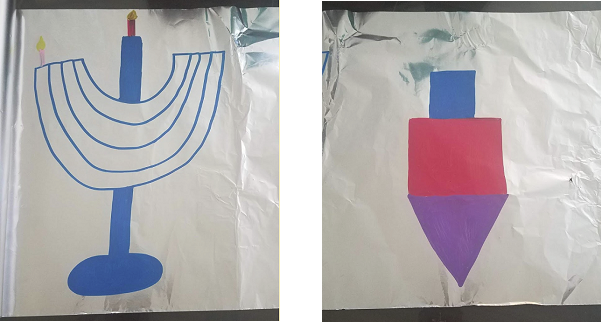 Stencils of Chanukah shapes (you can draw the symbols on tag board and cut them out for children to trace), Israel Forever Color Me Maccabee drawings, or your own imagination! Roll out your tin foil and tape to the paper - taping it down can help younger artists but is not necessary. For a more advanced technique (not recommended for younger children), don’t tape your foil to your background paper. Instead just lay it flat on the table and hold it down as you work gently! 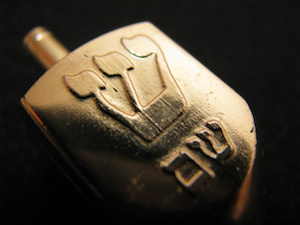 Draw or trace your Chanukah image directly onto the aluminum foil. Use the side of your sharpie marker instead of the tip so you do not break through the foil. If your student does rip the foil, emphasize that there are no mistakes in art and how unique their drawing will be. Tell them it adds character! 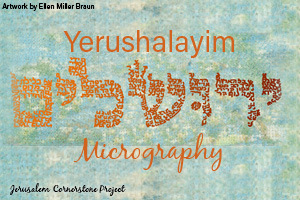 To use the Israel Forever Color Me Maccabee images, print and cut out the image of your choosing and trace with the sharpie carefully onto the foil. If the artist wants, he/she can fill in the paper underneath with the same color and they will blend together. When finished with your drawing/coloring, gently wrinkle up the aluminum foil into a large ball. Do not crinkle too tightly or it will be too challenging to unwrinkle your artwork! Gently unwrinkle the ball, separating the foil and being careful not to rip it! Once finished, carefully flatten out the aluminum foil to reveal your super cool art! You can buy black mats to frame your artwork (as in the image below) and then place your image in an 11x14 frame, or you can buy the mat complete set which will allow you to either use the white backing board for this project or another one! Once completed, you can place your beautiful artwork directly into a frame (with or without the black mat) for all your guests to enjoy! Painting as a part of a class or art group? Send us your selfies and group pics for a shoutout throughout our global Jewish community who loves sharing the Israel connection with their fellow Virtual Citizens of Israel around the world. Follow us social media and you can either post your pic online and tag us in your post or email it directly to Stefie@IsraelForever.org. 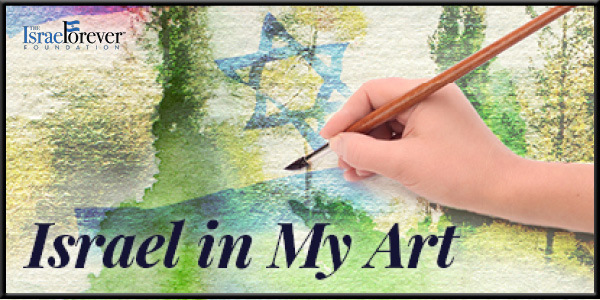 Help your students find unique ways you to incorporate the Israeli flag and the flag of the country in which you reside into your drawings as well, so that the world can see the vast number of nationalities of our IFF artists! 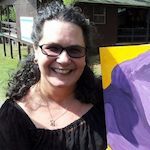 Stefanie Jo Heideman, founder of Art Escapades, is an art educator who believes that art is not supposed to be competitive, but rather a peaceful, relaxing experience for one to engage in and enjoy. 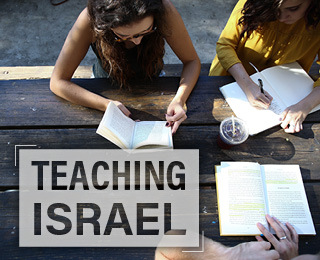 As the Arts and Education Specialist for Israel Forever, Stefie is able to weave her love of Israel into her projects and lesson plans for individuals of all ages and stages of life.